Laser Hair Therapy Treatment for Hair Loss | Hair Growth | Worcester, Ma. We offer a remarkable non-invasive breakthrough with low level laser hair therapy that is marvelous for men and women that suffer with hair loss. FDA Cleared Laser hair therapy treatment can give you back a thicker, fuller, shinier and healthier looking hair. 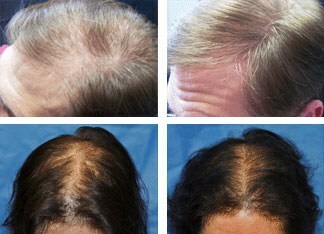 This non-surgical treatment has been approved the the FDA (Food and Drug Administration) for a safe cosmetic treatment of thinning hair in both men and women with genetic or inherited hair loss and thinning hair (Androgenic Alopecia), which accounts for over 90% of hair loss worldwide in both men and women. Laser hair therapy treatment for hair loss and hair regrowth is a safe and painless treatment. There are no known side effects with laser treatments and you won’t feel a thing during treatment but the advantages are amazing. The process was developed in Europe as a way to improve the hair shaft quality and volume while lengthening the life of the hair color and perms. This technology has been featured on national television and countless talk shows have demonstrated it. Physicians are truly excited to see how effective this process is to improving the hair quality and volume. Treatment delivers light energy without loss of light properties, from multiple positions to insure appropriate dosage. Low level laser light has been used in Europe for over thirty years to treat a number of different conditions. It has been the subject of over 2,500 scientific papers that have been written and about their positive use. It has only been in recent years that laser treatments have begun to be utilized in North America. Today there is a tremendous awareness and acceptance of low laser treatment among practitioners. While Internationally the benefits of laser hair therapy has been growing, in North America consumers have only recently begun to grow with the acceptance of alternative treatments. Low level laser therapy is a non-invasive treatment and without any known side effects. What is laser light therapy? Low level laser light is a compressed light of a wavelength from the cold, red part of the light spectrum of electromagnetic radiation. It is different from the natural light as it is just one precise color. The light is also coherent (it travels in a straight line), monochromatic (a single wavelength) and columnated (meaning it concentrates its beam into a defined location or spot). These properties allow the laser light to penetrate with no heat, no damage and no known side effects. 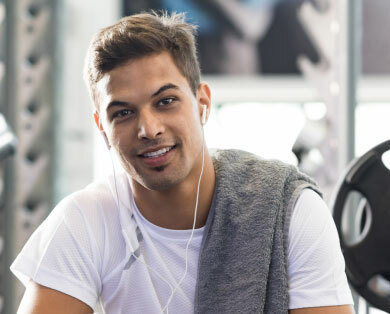 Hair Restoration clinics and hair salons around the globe have be using transformed technologies ‘cold-beam’ laser technology for treating men and women with problem hair conditions. Low level laser therapy (LLLT) works by increasing the blood flow in the scalp and hair follicles which in turn encourages more hair volume and healthier hair. The laser light penetrates into the scalp tissue and is able to stimulate the microcirculation and therefore improve cellular metabolism and protein synthesis. Patients in the early stages of hair loss — those individuals with hair loss equivalent to the Norwood 1-3 stages, with to much growing existing hair on the top of the head so the option to transplant hair from the back of the head (the donor area) would cause a symptom known as “hair shock or hair trauma” to the existing hair still growing there. This would quicken the loss of those existing hairs. 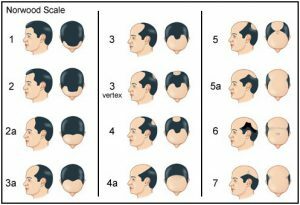 Women that experience general thinning hair over their entire scalp including the sides and back area where a hair transplant surgeon would normally harvest the donor site. The dedicated staff at International Hair Systems is devoted to delivering and the absolution highest level of care and expertise on your individual hair loss solution, comfort and privacy. We invite you to book a free, private, no-obligation hair loss evaluation with us today and discover for yourself how easy it can be to restore your hair and take back your life. Hair loss and thinning hair can be emotionally traumatic and affect how you see yourself and how you react to others. For over 40 years, we have been helping men and women restore not only their hair, but also their confidence.